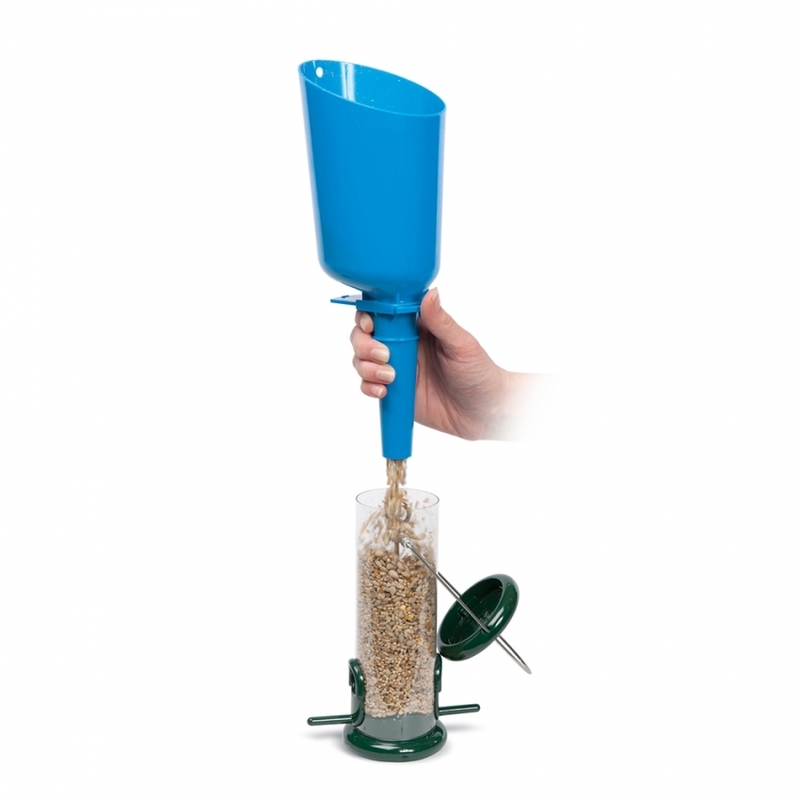 The Super Scoop bird seed accessory is perfect for easy no-spill bird food refills.Simply fill up your scoop (which holds around 1kg of seed), seal the scoop using the handy slider, then carry your scoop out to your feeders. It's as simple as that. The Super scoop is a convenient way to carry seed from your bulk bags to your feeders without spilling any seed. With a handy slider to block the scoop once full you can easily carry around around 1kg (0.5 litres) of bird seed in the scoop. Once at your feeders you unblock the scoop using the slider and your seed will funnel out of the bottom. It's a great device for anyone with bird feeders, especially those with multiple feeders in the garden. Using the Super Scoop saves you the hassle of carrying your feeders backwards and forwards and one scoop can fill multiple feeders. It is made of durable plastic that wont break if dropped and also makes it easy to simply wipe clean.